When the Museum opened in 1913, its Library contained approximately 10,000 volumes, mostly on musical criticism, the history of the theatre, musical scores and biographies. In the early Fifties, the collection was enhanced with a further 54,000 volumes thanks to the legacy of Renato Simoni. In his will, he also stipulated that the collection should take the name of his mother and is today known as the “Livia Simoni” Library. 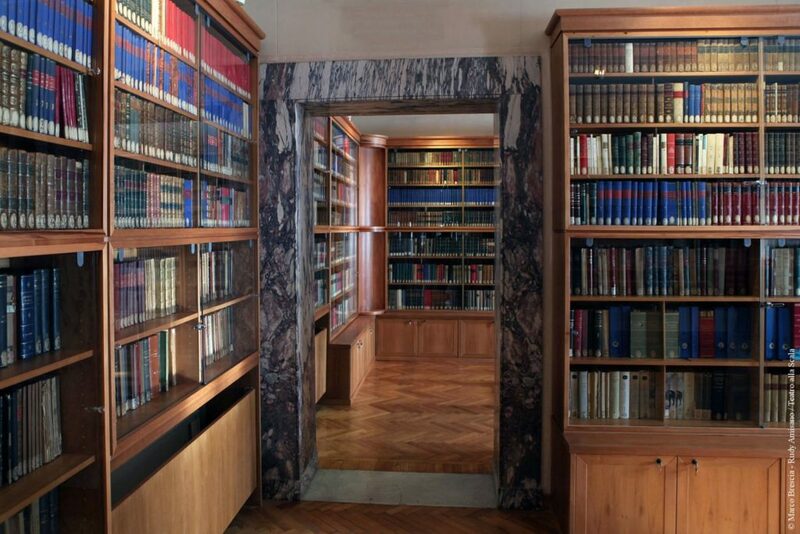 Further donations followed with the books of Ruggero Ruggeri and Arnaldo Fraccaroli, which raised the collection to a considerable size (more than 150,000 volumes), making the Library one of the most important in this sector in Italy and in the world. The oldest book contains Plautus’ comedies and was printed by Lazzaro Soardi in Venice in 1511. There are 363 16th-century books, often rare editions of great value, over 400 17th-century works, and a rich collection of volumes from the following centuries. The archives are next to the Library and they contain 2,255 sketches, 6,959 croquis, 3,000 theatre posters, 6,000 librettos, 10,300 signed letters from actors, directors, composers and singers, 30 manuscripts of complete works, including Verdi’s Requiem Mass and Rossini’s Tancredi, and 300 single sheets with pieces by Verdi, Rossini, Donizetti, Puccini, Beethoven, 7,000 photographs and 10,000 engravings. The Library can only be consulted on appointment. There is a computer workstation available in order to study those manuscripts, posters, and scene designs that are not available in the original format. The Library is open on appointment only from Monday to Friday, 9.00 am to 12.30 pm and 2.00 pm to 5.00 pm.